Good Taste wine columnist and all round oenophile Jane Clare, also known as One Foot in the Grapes, shares her tips for choosing wines this Christmas. Tawny port: A tawny port is amazing with chocolate desserts and is a shoo-in with Christmas pudding. Tawny has been aged in oak and is rich and warm with notes of fig tumbled in butterscotch with a seam of dried fruits. Pop the tawny in the fridge as you first sit down to dinner and it will be the perfect temperature by cheese and pudding time. One of my favourites is Taylors 10-year-old Tawny Port. Look to pay around £22 for a 75cl bottle for a decent tawny, but you can pay much more. Sherry: Sherry isn’t just for Great Auntie Betty while she’s watching the Queen. It’s a magnificent pairing for a platter of cheese, walnuts and dried fruits. Find a creamy sweet oloroso, enjoy its aromas of raisins, dates and spices and heaven will be right there in front of you. If someone wants ice cream with their Christmas pud, pour a dribble of luscious PX sherry over the top. Oh my. I tasted the amazing Gonzalez Byass Matusalem Oloroso Dulce in a tapas tasting with Sherry Wines UK. You can find it at Whitmore and White (around £22). Ice wine: These wines are made from grapes which have frozen on the vines and when picked, the concentrated sweet, essence of the grape juice is squeezed out, leaving the ice behind. In ice wine you’ll find sweet, rich notes of apricot, orange peel, mango and honey. A glass is fab with blue cheese, lots of it. The last couple of years Lidl has sold a lovely ice wine for under £15. Most local independents will have a selection. Madeira: I love, love, love the stories behind wine. Madeira is a fortified wine and is aged under heat. Go with me on this. Centuries ago it was discovered that wines were “cooked” when shipped across the heat of the equator and were much better for it, not just in flavour but in robustness. What does this have to do with Christmas? Flavour my friends, flavour. Madeira is created in different styles, from different grapes, but the underlying notes of nuts, raisin and caramel are perfect for your Christmas pudding and hard cheeses. Blandy’s is a good name to look out for, or alternatively a 50cl bottle of Barbeito Boal Reserva 5yrs is about £15.50 from Corks wine merchants. 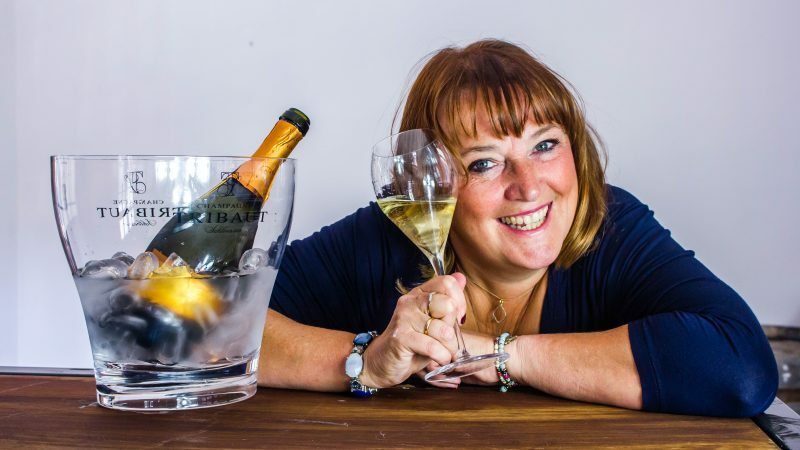 Jane Clare is a member of the Circle of Wine Writers and plans wine tastings in Merseyside. Find Jane online as One Foot in the Grapes or phone 0779 512 1003.